First off, blogging this session is WAY overdue. Life got busy and then in the back of my mind I thought that I had already shared it on my blog- I was wrong! You guys, this was one of my favorite sessions and I posted a lot about it on Instagram (which is why I thought I had blogged about it)! These twins belong to the wonderful Jesse (of http://www.jessecoulter.net) and Alex Coulter! Alex and Jesse are hilarious, down-to-earth, and so easy to become friends with! Jesse and I actually knew of each other from our parents but hadn't had contact in many years. It has been so great to be reconnected again and to see her children grow! Jesse is a lifestyle blogger and YouTuber in Austin, Texas and I swear if you follower her, you will fall in love! She keeps it real, shares her heart, and is always looking fashionable! (I think I laugh at every Instagram story she posts). Jesse won a giveaway that I was doing on my Instagram and chose to use her session for her twin's first birthday! I was so excited because I had seen her twins on her Instagram and knew that we would have a lot of fun together! 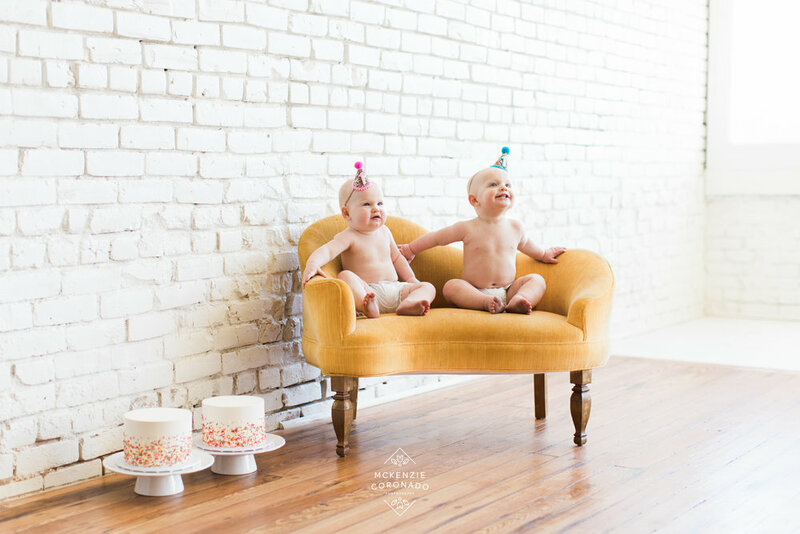 Mindy's Bakeshop created two precious sprinkle smash cakes for the twins and as you can tell from the images, Whitney was a BIG fan! The second we put the cake on the ground, she grabbed the base, pulled it near her, and dove right in! We were cracking up so hard and didn't think it could get any better....and then she sat on her cake. Yup. Just plopped right down. She has such a sassy personality and it was so funny to see how different her and Walt were when it came to eating cake. Walt was really reserved and kept looking up at Jesse and Alex with a face that said, "Wait, you're letting me eat cake? Is this a trick?!" To see more of Mindy's amazing work, check out her Instagram! She is insanely talented and every picture she posts will inspire you to take out your mixer and apron...I promise! 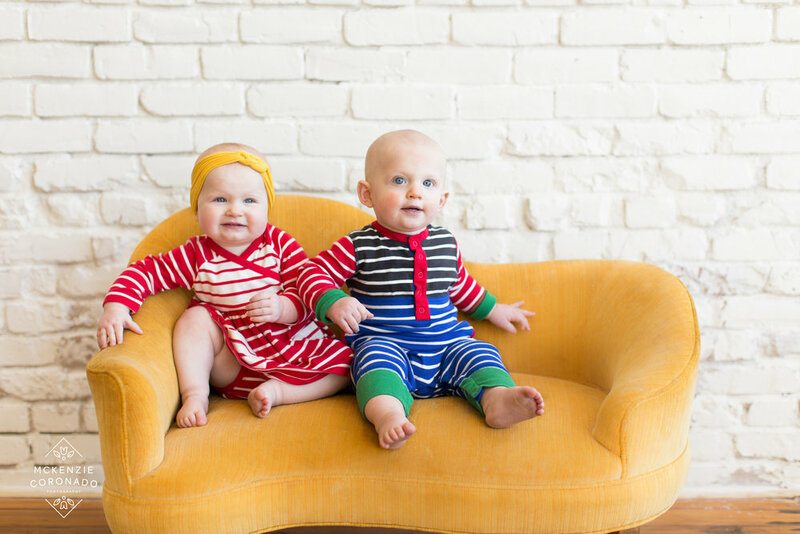 This session was so much fun and I just can't get enough of these twins! Yes, doing a session with one-year-old twins is a workout because they are on the move, but I loved following them around and capturing their personalities! Coulter family, you guys are so special and I am so glad that our world's reconnected again! Walt, Whit, and Turner are so lucky to have you two as parents! To see some behind the scenes of our shoot, check out Jesse's video HERE!